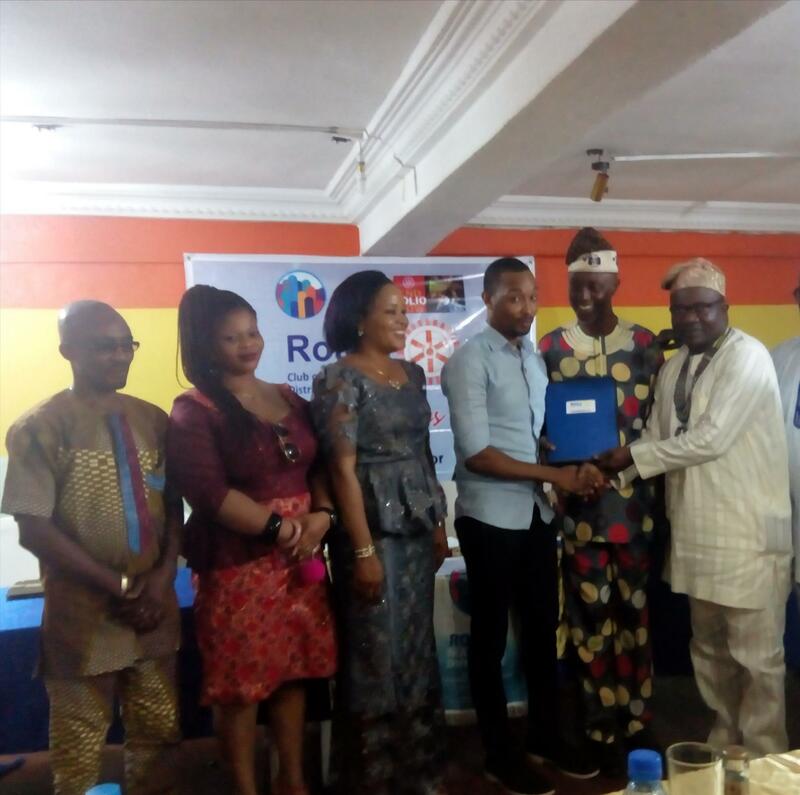 Three new members have just been inducted into Rotary Club of Omole Ojodu family by the District Governor, Rotarian Wale Ogunbadejo during his official visit to the club on Saturday, January 27, 2018. 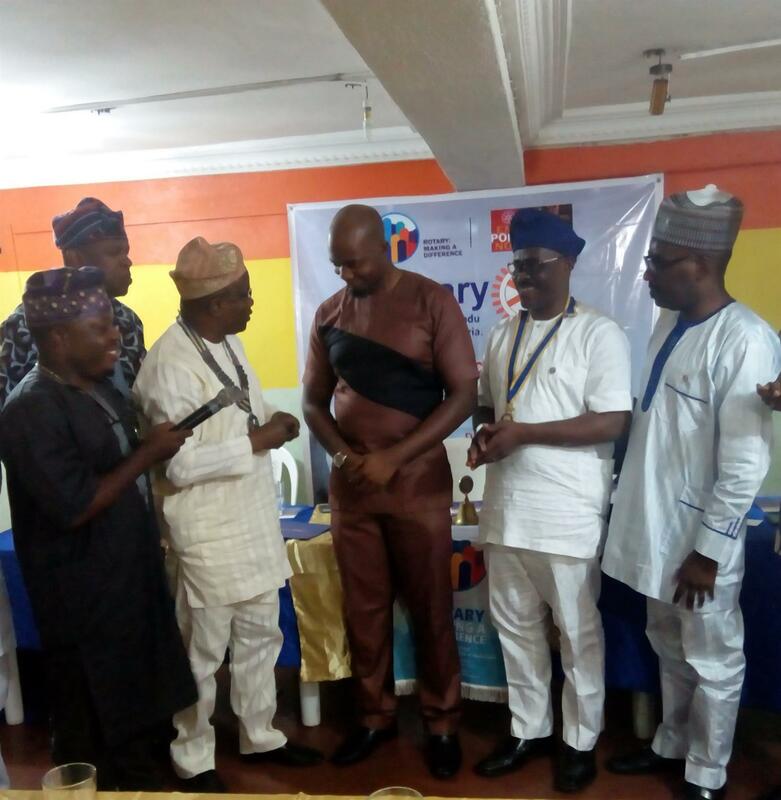 The Governor, who visited the club with the District Secretary and some other district leaders, also inducted an honorary member, the first Paul Harris Fellow into the club, which is just a year old. -Growth of leaders beyond the club level. He also stated the five core values of Rotary to include integrity, leadership, fellowship, and diversity. 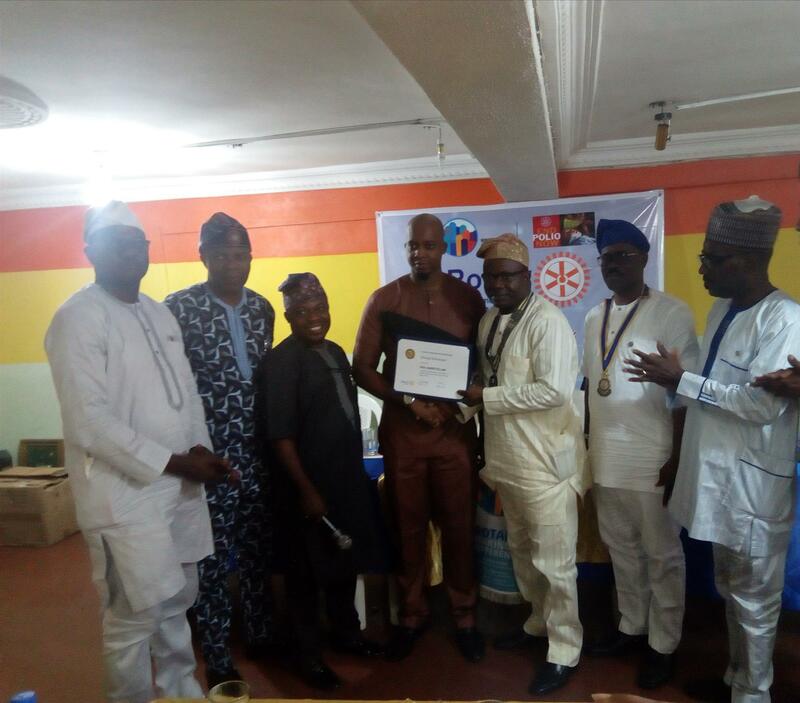 The DG encouraged the club members to always attend seminars, so as to gain Rotary knowledge. In a situation where only one member attended a seminar, that member should download the files and pass it across to all other members who couldn’t attend the seminar. The Governor also advised the club to avoid prolonged fellowship time as this may discourage members from attending. “Time is all we have as human beings; it is what we do with that time that defines us. If someone says he is 30 years old; before you know it, he is 70 years old”, said DG Ogunbadejo.